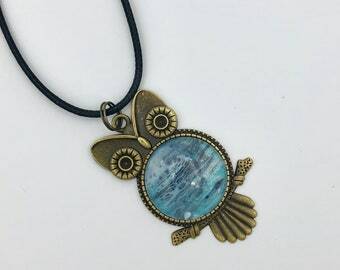 This beautiful pendant is a piece from my latest painting. 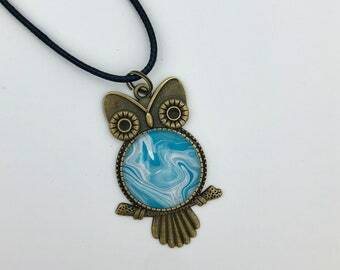 It features stunning teal/turquoise colors blend with a bright white contrast. Beautiful NEWLY ADDED post earrings! 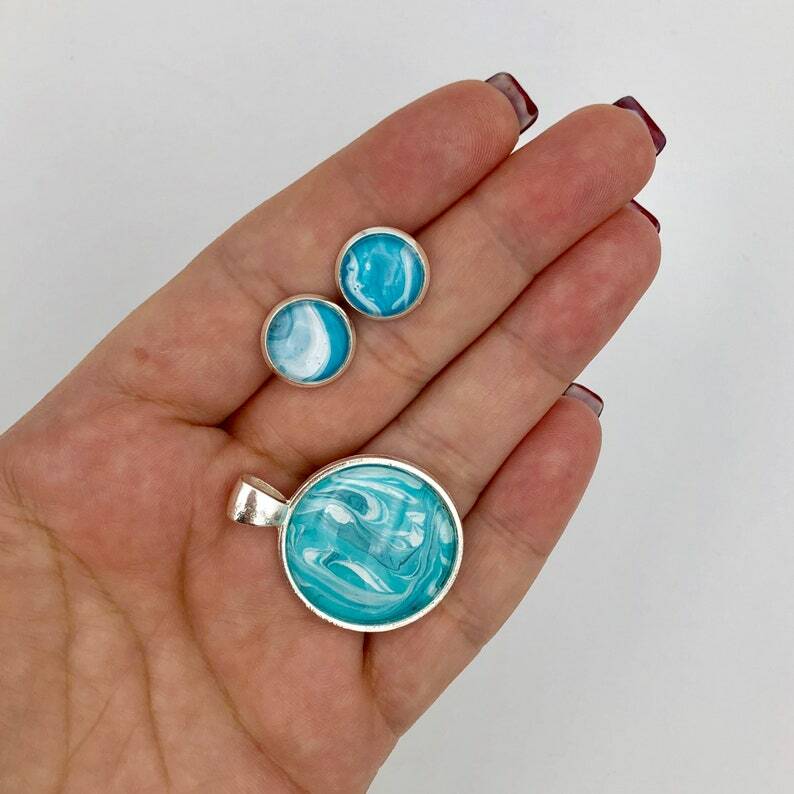 Pieces can be purchased separately or together as a set! Price of pendant includes an adjustable 18” black waxed cord.